Shipping is FREE for all orders within the United States. Regardless of the number of items or weight, there is no shipping charge for orders going out to an address within these countries. FREE shipping orders are sent out via USPS First Class or UPS Ground, depending on the size of the order. You may also opt-in for faster shipping methods for an additional charge. Please note that shipping & handling charges are non-refundable. ** Free shipping does not apply to replacements under the Lifetime Replacement Guarantee. A delivery confirmation number or tracking number will be sent to you by e-mail as soon as your order leaves our warehouse. Shipments within the USA usually take 1-5 business days to arrive after the order has left our warehouse. Orders shipped to Canada will be charged a flat shipping & handling fee of $1.95 per order,and $4.00 per item. For an order that includes 1 item, the total shipping charge will be $5.95. Shipments to Canada generally take between 6-10 business days, but may be delayed due to customs. Please be aware that delays caused by customs are out of our control. A flat shipping & handling fee of $9.95 plus $4.00 per item will be charged for orders shipped OUTSIDE of the United States. 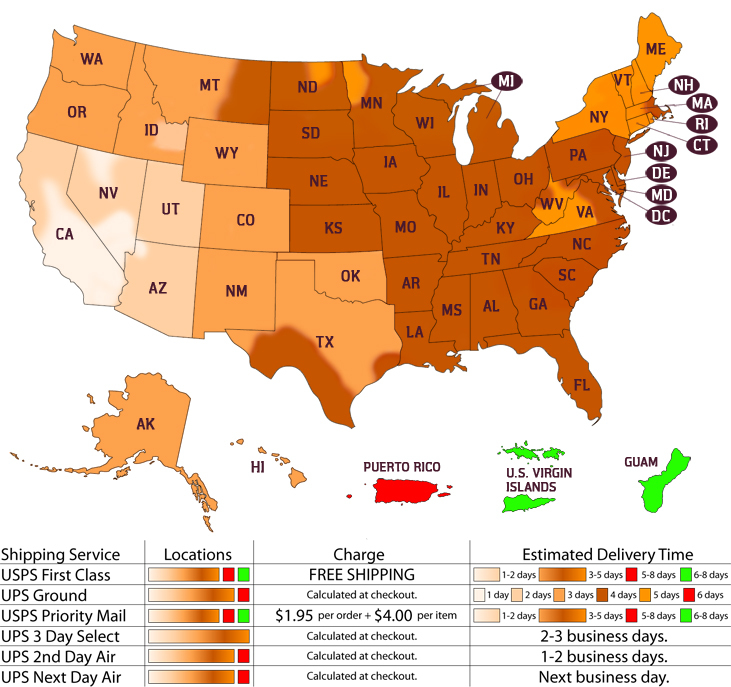 International flat rate orders are sent via USPS International First Class Mail. Residents outside of the USA must determine and pay any tax charged by customs. Skinomi.com does not collect or determine customs tax/duties, and it is the responsibility of the customer. Delivery timeframes for each international country may vary. Please contact your local post office for details. Upon placing an order, we will send you an e-mail confirming your order number. When the order is shipped, you will receive another e-mail containing shipping confirmation and tracking number(s). We may also contact you via e-mail or telephone if there are any problems or questions regarding your billing or shipping information. FREE shipping orders (USA) are shipped via USPS or UPS. The choice of carrier will depend on the size of your order. Most single item orders are shipped via USPS, while larger orders are shipped via UPS. Most orders are shipped within the same or next day the order is received. Upon receiving your order, our staff will verify, locate, pack, double-check for accuracy, and ship out your package. We are proud to have one of the most efficient order processing systems in e-commerce. We strive to ship your order as quickly and accurately as possible.